Hi, I’m Margie! 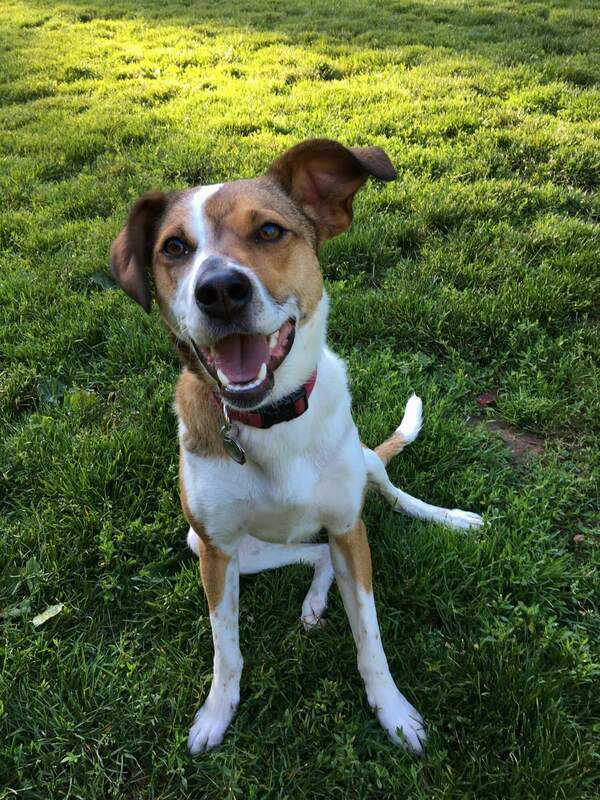 I’m about 14 months old, 32 lbs, and a mix of jack russell, beagle, and foxhound/fox terrier. I’m extremely sweet and wacky, and get lots of laughs from the goofy faces I make and the speed at which I chase my own tail. I’ve had an eventful life so far I lived on the streets as a young puppy, was rescued, got hit by a car, and then had to stay cooped up in an apartment for a few months while I healed so I’m ready to trade in city life for a more rural adventure. Which is perfect because my favorite thing is running around and playing in the grass with dog friends! I rarely get tired of wrestling with other dogs, chasing balls/frisbees/sticks, or just running around and biting wet grass! Because of my accident, it’s good to keep an eye on my leg to make sure I’m not limping. 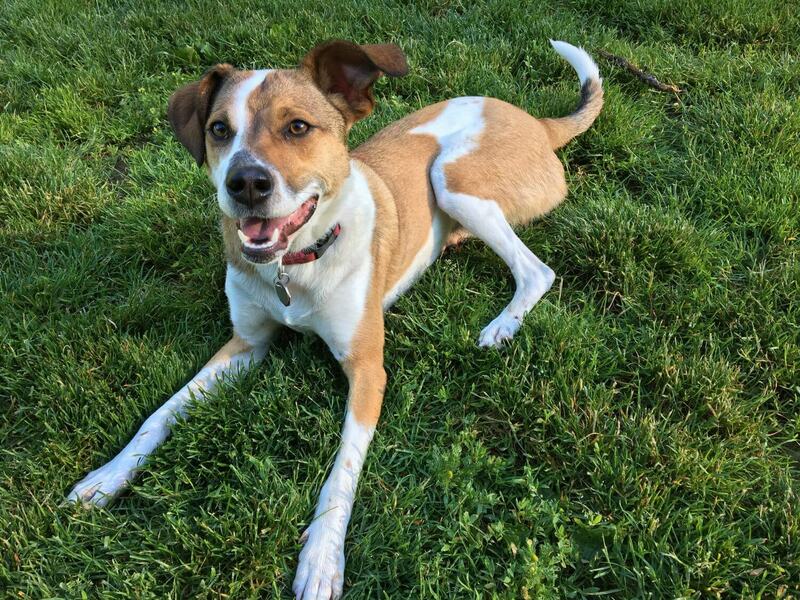 I’m looking to be part of a home with a settled adult (or couple) who has the patience for a high-energy pup like myself, no children or plans for having children, no cats, and a more mature medium-sized dog who can play with me and help teach me how to be the best pup I can be. My ideal environment is a house with a big yard to play in. When the day’s excitement is over I’ll happily cuddle on the couch with you and probably fall asleep with my head on your feet. I’m spayed, up to date on all my shots, and on monthly flea and heart worm medication. I can be a pretty anxious pup but with the right environment and patient, steady training I know that I can be calm and happy-plus there’s almost nothing I can’t do when treats are involved! If you feel like you’re the right person for me, email Mario at mariocorreadesign@gmail.com.